Get the Free Amazon App of the Day - Kitchen Carnage. Simply download the application to your Android Device and play it. 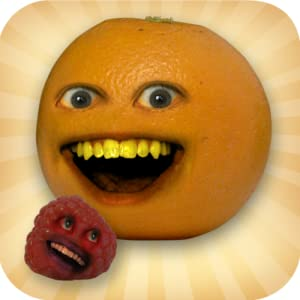 Annoying Orange: Kitchen Carnage features vivid fruit-spattering action in a beautifully rendered 3D kitchen. Toss characters like Cantaloupe, Banana and 'Painapple' to pulpy deaths with a flick of your finger while Orange eggs you on with maniacal laughter and irritating puns.